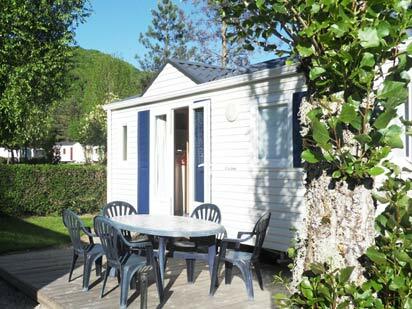 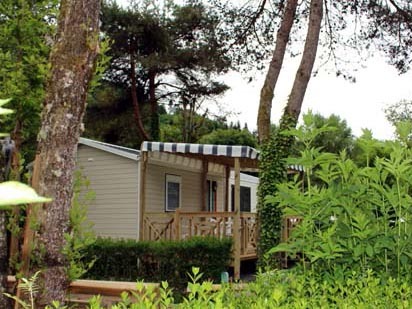 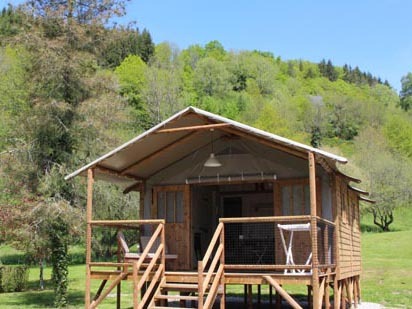 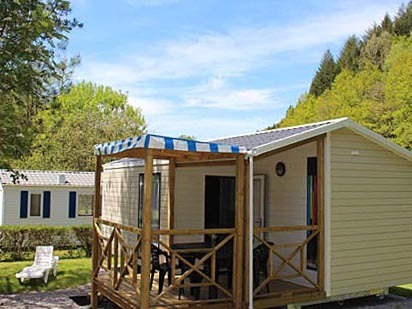 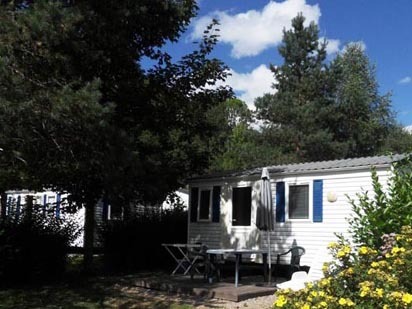 At the Moulin de Serre, there is wide range of rentals; a canvas bungalow “Lagune” without a bathroom and a toilet, a Lodge Africa on stilts and 9 mobile homes types (between 16 and 36m²), in the Puy-de-Dôme, Auvergne. 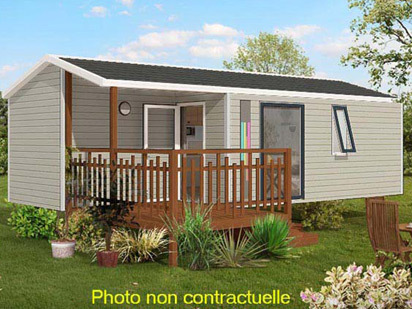 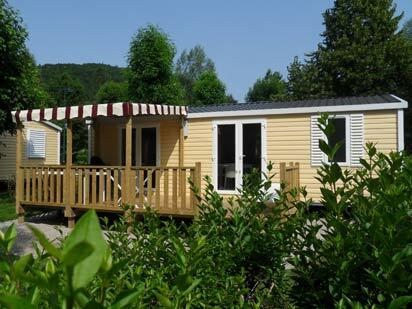 The mobile home “Hélios” is suitable for the disabled. 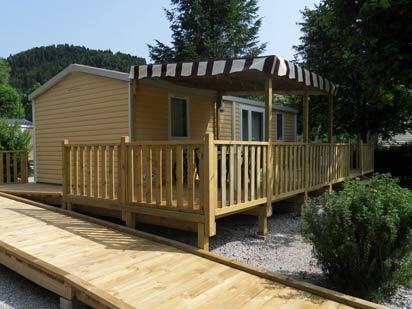 Mobile homes feature a wooden terrace, a garden set and a sun umbrella (arbour). 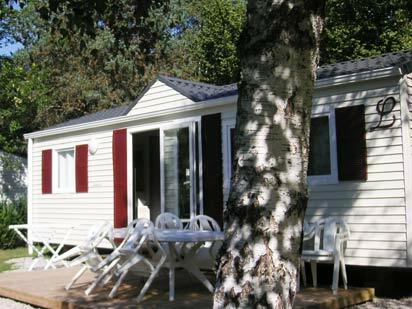 All rentals are equipped with crockery, kitchen utensils, cleaning products, pillows and blankets. 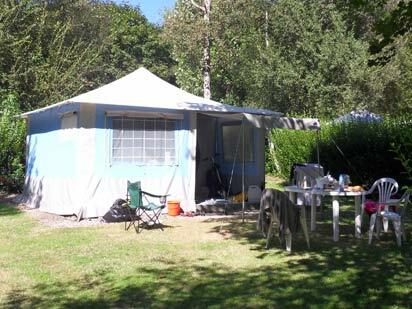 Not included : household linen, towels, sheets and the final cleaning. 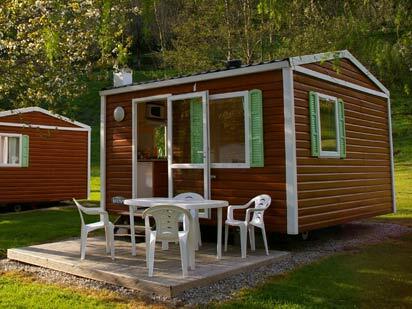 It is forbidden to smoke in the rentals, mobile home and canvas bungalows. 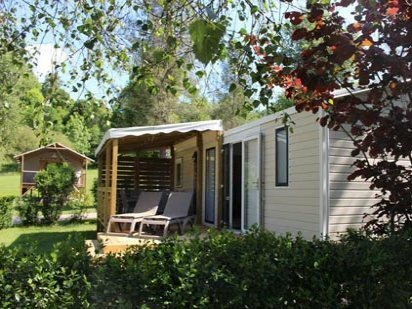 In April, May, June and September, you can arrive on any day of the week, and in July as well, but just for the canvas bungalow rentals.